Chhatisgarh is relatively newer state formed only a decade and half years ago. 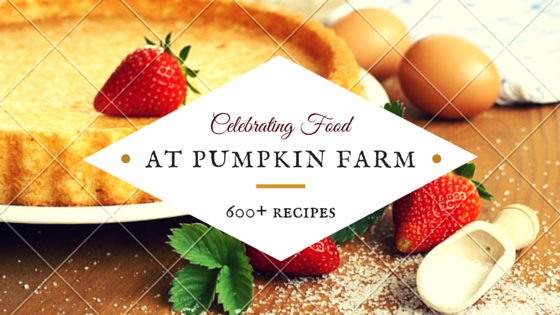 Its cuisine is heavily influenced from its parent state which again adopts flavors of the various neighbouring states. 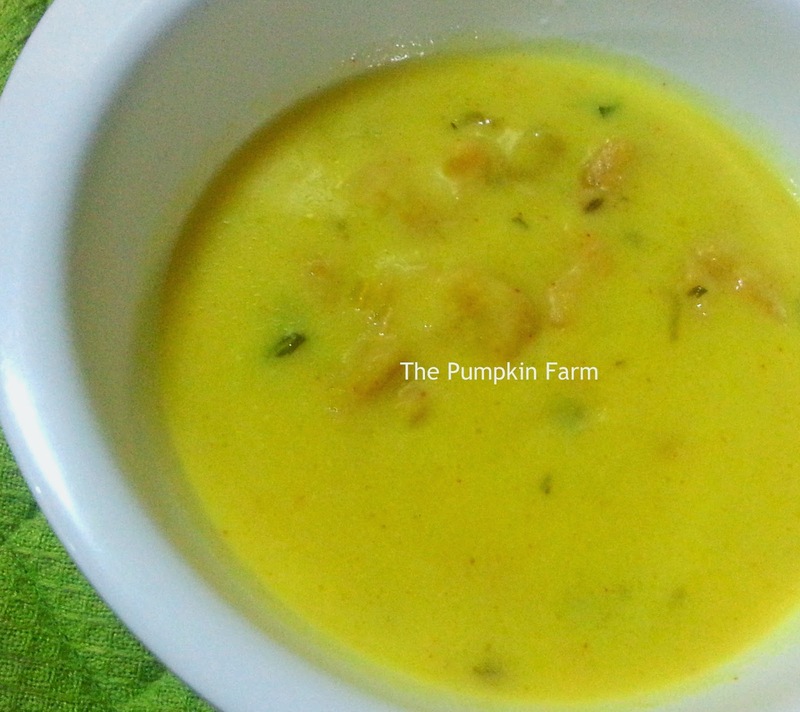 I picked this recipe of sev kadhi as we really enjoy our kadhis and prefer it with dumplings like you have seen here.. This curry is distinctively different from the other ones because of the sev dumplings. 3) Now add the chickpea flour and mix well to ensure there are no lumps. 4) Now put this on stove and gently stir till it is cooked. Starts coating the back of your spoon. 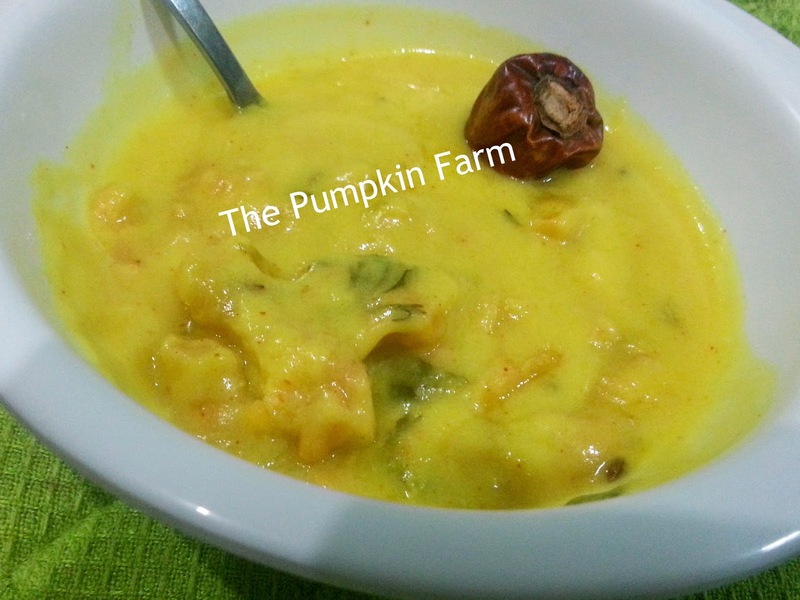 5) Now, Using a slotted spoon, drop the sev mixture from a little height to form strands in the pan of kadhi. 8) Add the asafoetida, red chilli and curry leaves. Garnish with fresh chopped coriander and serve with steamed rice. Pradnya, you have added pakoras aso or what..the last image has pakoras.. This was the recipe I was going to make ! But changed it to the lentil kahdi I have posted. 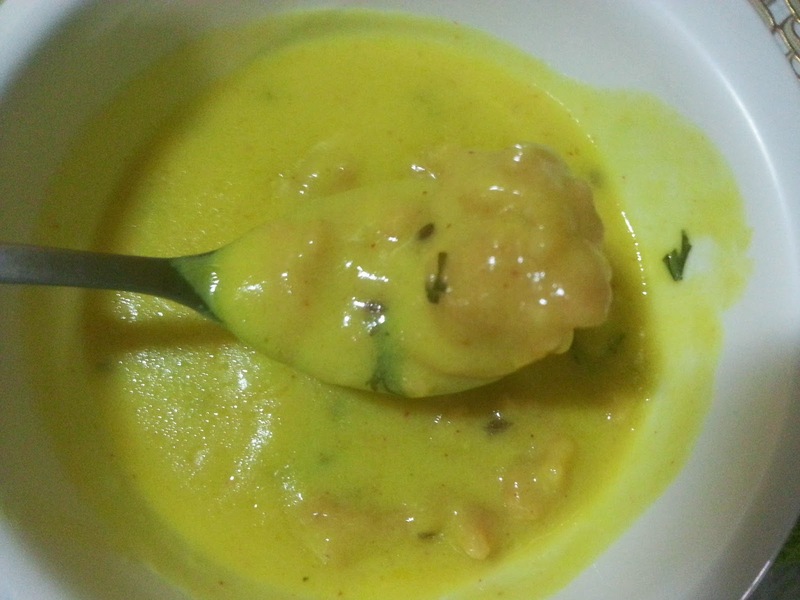 Kadhi is the most comforting food for me ...yours with sev pakodi looks tempting ! very comforting sev kadhi :) looks fabulous dear !! and tempting me dear !! This is something i want to make soon,sev kadhi looks comforting. Today kadi is the winner I think..another version of kadi sounds interesting.. Very interesting! The sev is cooked in the kadhi unlike pakoda kadhi where we add cooked pakoda. Must try this sometime. Very interesting kadhi. Love those sev dumplings. Yum Pradnya. I love the flavours that you have described here. Very interesting idea making sev and cooking it in the kadhi. such a comforting and delicious one!!! So it is a kadhi mela for Jharkhand!! Looks simple and delicious!! 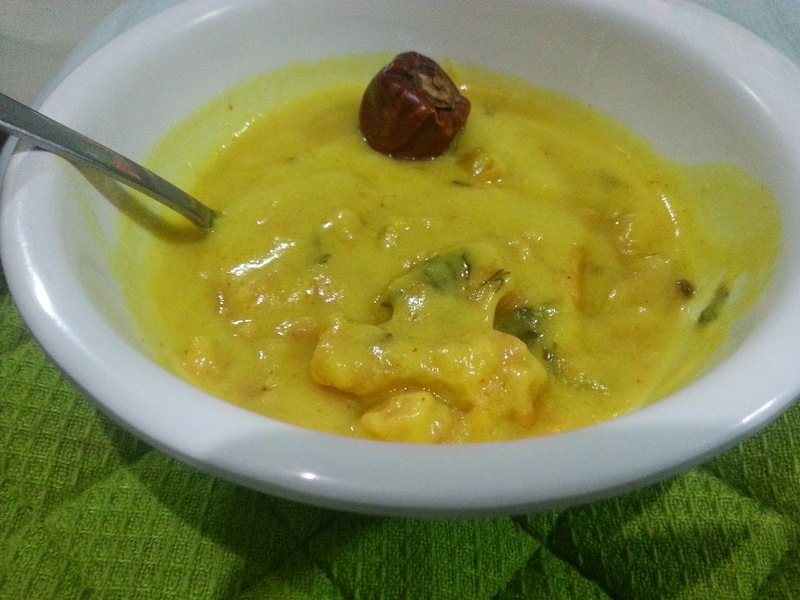 Yummy kadhi.. I also made something similar to this. Sev being cooked in the kadhi..very new and interesting..must have been quite a tough one to manage if you don't know how..:)..good one..